Thinking about self-publishing? This expert has advice about your cover. Whether or not we should, we do tend ot judge a book by its cover, which is why any author who is considering self-publishing should make time to watch the video below. The speaker is legendary designer Chip Kidd, who creates covers for books published by Random House. Marketing guru Seth Godin zigs when other people zag. When "free" books were still unusual, he gave away digital copies of his books for nothing and built up a huge following--many of whom bought a traditional copy of his books as well. For his most recent book, "We Are All Weird," he's changed tactics. He's releasing a limited hardcover edition of 10,000 only, which, given his fan base, should go pretty fast. The ebook version is also available at the Kindle store for about $8. I like to keep an eye on Godin's strategies because he's usually ahead of the curve. As I said in a recent post, I remain unconvinced that selling your ebooks for 99 cents is the way to go for most writers in the longer run, although if you have success doing that, great. prices as the only way to stand out in their marketplace. to what they want and need. A bad book will work against you. That may sound like common sense, but these folks are saying it’s easy to write a book like this. Just have somebody interview you, get the interview transcribed, clean up the punctuation and grammar a little, and viola! You now have a book. Probably not a good one, though, unless you happen to give brilliant interviews full of original thoughts and great turns of phrase. Most people, when interviewed this way, will stay on the surface of their topic and will not express themselves as elegantly or succinctly as possible. Accordingly, the transcript will be a dull read. Typically they then get some boring clip art (photo of a handshake, or a guy climbing a mountain, or dollar bills or a chest full of gold coins, etc.) for the cover, a head and shoulders photo of themselves on the back cover, along with some favourable quotes from friends. Does this sound like it's going to impress people? 1: Have something new to say. It may just be a new slant on things, but it has to stand out from all of the similar business books out there that tell people to work hard, be unique, have goals, focus on giving instead of getting, etc. etc. 2: Take the time to write it well. An interview can be a good starting point but for 99 out of 100 people it shouldn’t be the end point. 3: Make it an attractive package. Get someone who knows what he or she is doing to make you an excellent cover. You can find these people via elance.com. It should be the same quality that you will find on the covers of books produced by the major publishers. If you follow those three guidelines it’s likely you’ll create a book you can be proud of and that will work for you instead of against you. What would you like to see in an enhanced ebook? My next book with Nicholas Brealey publishing is going to be "Your Creative Writing Masterclass," which features quotes from classic and modern writers' advice to writers and exercises that help you apply that advice to your own writing. It has grown from 55,000 to about 85,000 words and I have another 1.5 drafts to go. That one should be out in November of this year. Beyond that we're discussing producing an enhanced ebook on screenwriting. By enhanced, I mean that there would be audio and video embedded within the book. For starters, these would be clips of interviews with writers, agents, producers and maybe some others about some of the key points in the book. I'd love to include film clips but I fear the permissions process (and the prices) will be prohibitive. It's very early days yet--we're looking at the second half of 2012 for publication--but I wanted to invite you to give me some feedback. 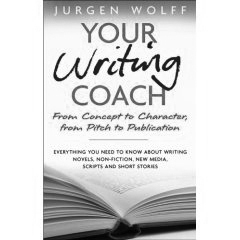 What extras would you like to see in an ebook on writing (especially screenwriting, but I can also imagine future enhanced versions of "Your Writing Coach")? I'll also keep you posted as the process goes on, in case you may have a book in mind that might benefit from this format. Don't lead with a negative in pitches, query letters--or anything else! "Good morning, my name is (whatever), and I am an author. Unfortunately, I live nowhere near you. I am in (town). I have a couple of books that are out, and I was hoping you might be interested in putting a couple of copies on your shelf." The part that strikes me as a strange choice is saying as almost the first thing that she doesn't live anywhere near the bookshop. Maybe she's anticipating that the bookstore owner will ask whether she's a local author, but why start with a negative? The manager may never ask. If he or she does, you can be honest, but ideally you'd have a better answer than just 'no.' For example, "No, but I have a blog that's pretty widely read and I'm sure that includes people in your area." In fact, I'd tell the manager that I plan to put the details about their bookshop on my website so that people in that area know where they can find my book. My main point is that it's almost never a good idea to lead with a negative, because it focuses attention on something you don't want the other person to think about, at least not at first. Secondly, try to have an antidote to any negative that you can't avoid. The (London) Times featured an article a while back by Matthew Gooodman about a woman, Virginia Blackburn,who cranks out instant books about celebrities. It's a peek inside a writing factory. She says her word count is up to 5000 a day--"You can't fall behind," she says. She's done books on Michael Jackson as well as the marriage of model Jordan (Katie Price) to cage fighter Alex Reid. The time from concept to shop can be as little as six weeks. The leader in this factory farming side of publishing is John Blake, who started this trend in the UK with a rapid-response bio of Heath Ledger when he died. The biggest outlet for these books is the supermarket chains. Sometimes they even come up with an idea and pitch it to the publisher. The author's fees typically are £3000 to £10,000 and maybe a share of the royalties if a book is a hit--not so bad if you're cranking out 5000 words a day. These are not long books, so that would mean turning out a manuscript in 10 to 12 days. There's a certain amount of research involved, but I suspect it's not deep or extended. Also, the books tend to feature lots of photos, which cuts down on the word count as well. It's not a side of writing that interests me personally, as a writer or a reader, but it's interesting to find out how it works. 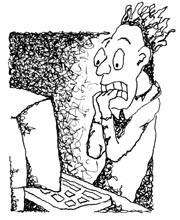 "I have been an avid reader of your blog and books for a long time and wonder if you have a short burst of blog advice for people like me who need an expert in a technical field to cast an eye over a fiction manuscript to ensure that I am not committing any factual sin. Finding the expert is not my problem. My problem is that I would feel guilty asking someone to spend many hours reading, annotating and advising, only for me to be the one to reap any rewards. What does he get out of it apart from my profuse thanks? Is there an unwritten protocol about tangible returns for experts who advise on their specialist subject? I can’t think why they would wish to do it otherwise, yet we all see paragraphs of thanks from published novelists to detectives, bankers, scientists and scores of other professionals. A bottle of wine seems more of an insult than a reward, yet a cut of the royalties seems too lavish. Where is the middle ground?" It kind of depends on how much work it is for the expert and their attitude. For some, being thanked in the acknowledgements section of the book is enough. If you can isolate the sections that require verification and there aren't too many of them, you might find that it wont' take too much of their time. If they have to read the entire manuscript and there are lots of things to check, then probably they'd find that too demanding. I would suggest that you consider how much you would be willing to pay and then approach the person and say you would value their input and of course will acknowledge their help in print, but also that you're aware that their time is valuable and ask how much they would charge for reading the mss and giving input. You may find someone who says they'll do it just out of interest, or you may find someone who demands an outrageous fee (in which case you move on to another expert), or someone who suggests a reasonable fee. I'd just add to this for other readers, don't be afraid to approach an expert for help. In my experience, most of them are flattered to be asked and as long as you are respectful of their time they will be delighted to help you. I’m in the final stages of writing my book, FOCUS, which Pearson will publish in May 2008. I guess it’s appropriate that I’ve had to focus a lot this month to be able to get it done! One tip: leave the first chapter (the introduction) until last. Inevitably, the book has changed somewhat, including finding that two of the proposed chapters work better when combined into one, and that it made sense to switch the order of some of the chapters. Since the introduction includes a guided tour of the rest of the book, it’s best to do that last. The second tip is don’t panic if you start to doubt whether your book actually works. This is my sixth one and on every one I’ve had a point at which I was sure it was all falling apart, didn’t make any sense, wouldn’t interest any readers, etc. I think it’s part of the natural process once you get so deeply into it that you lose perspective (it happens with screenplays, too). Yesterday I wrote what will be the final chapter, “Putting It All Together,” in which I set out a program for applying all the material in the book in a structured way, and was happy to find it does all make sense. Whew! My book has been out for a couple of months in the UK and one month in the US and of course we're trying to make sure it's in all the book stores, especially the chains. On the website, initially we had a link only to Amazon, and that annoyed Barnes and Noble to the point of saying they wouldn't stock the book unless we also linked to them. Of course I was happy to do that anyway, it was an oversight originally, but it does show how important it is to keep all the players happy. If you've got a website on which you're selling your book, be sure to link accordingly. Barnes and Noble now has placed an order for the book. Next, we're hoping Borders will follow suit.